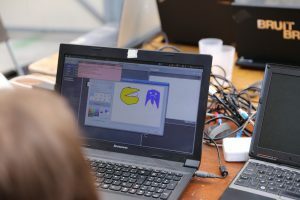 APO33 offers various workshops for children and digital adults. Thursday and Friday workshops are run by children. 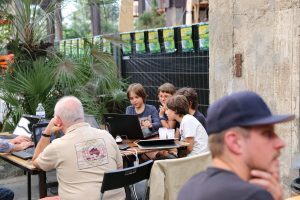 Friday, October 26th, from 2pm to 5pm: Scratch Workshop – 5 €, Intermediate Platform For children over 8 years old during holidays. Scratch is a visual programming game suitable for children. This software makes it possible to build animations and people in an intuitive way and allows children, from primary school, to build their own visual language, sound, 3D and more. Saturday, October 27, from 2 pm to 5 pm: Pure Data Workshop and audio-visual creation – 10 €, Intermediate Platform From 12 years old. Pure Data is a multimedia authoring software used in the artistic, scientific and educational fields. Its popularity lies in its ease of use. Pure Data offers a graphical programming environment.